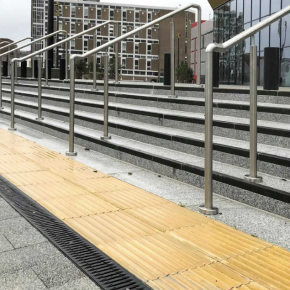 Hauraton has ensured the multi-storey car park of a newly opened shopping district in Hull has a top quality surface water drainage system, courtesy of heel-safe gratings from the company. 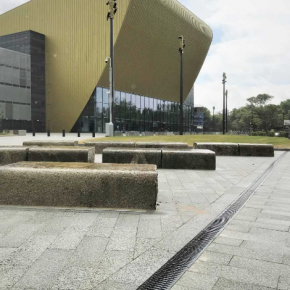 Built on brown-field land located on the edge of the main shopping district in Hull and adjacent to Princes Quay, the Bonus Arena – Hull Venue and its associated parking facilities were opened in August last year. The £36 million development progresses the legacy of the social and economic impact generated by Hull’s 2017 UK City of Culture status. The Arena, designed by AFL Architects, is a state-of-the-art music and events complex, with a flexible capacity of up to 3,500 people. 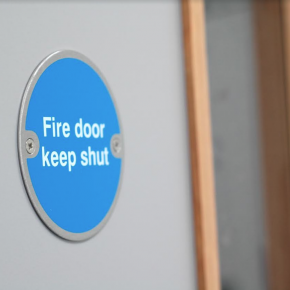 The facility can provide a venue for concerts or corporate conferences in an 800 seat auditorium, with a 2000 square metre adaptable space able to be utilised for sporting events or exhibitions and trade shows. An effective surface water drainage system was essential to ensure all weather access to the venue. 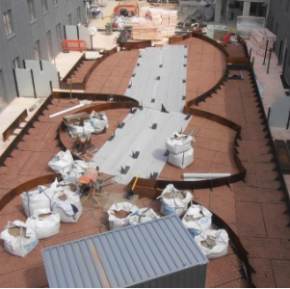 140 metres of Hauraton RECYFIX® PRO 100 channels with FIBRETEC® heel-safe gratings were chosen for the job, which blended well with the stone paving and would resist damage from applied grit rock salt in freezing weather. The material, PA-GF used to make the FIBRETEC® grating, was especially developed by Hauraton; the tough, UV resistant, fibre reinforced moulding offers high stability and huge strength for its weight. Complying with loading category Class C250 (BSEN 1433), the grating can easily take the weight of commercial delivery vehicles. The design is a real innovation, as its non-corrosive material provides a visually appealing surface finish that retains its colour. The slots are super smooth, elliptical openings with the moulded bars having slightly raised triangular bosses along their outside edges. 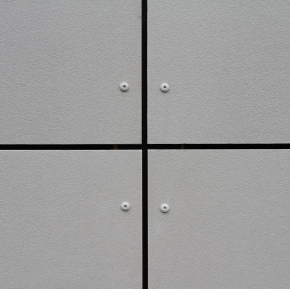 As well as providing an elegant appearance, the feature ensures surface water is directed into the slots.